LaurenMacOnline.com has a beautiful collection of special order Bridal Jewelry and Accessories for the whole wedding party. Browse through our interactive VIRTUAL CATALOG. Once you find something you like, fill out our Contact Form with the style numbers of the items you are interested in. We will get back to you regarding order details and availability. We offer special quantity discounts when you order multiple pieces. 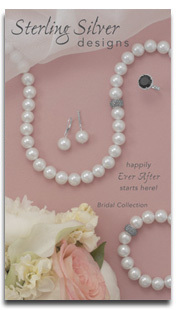 Let us help you accessorize your special day!